a. 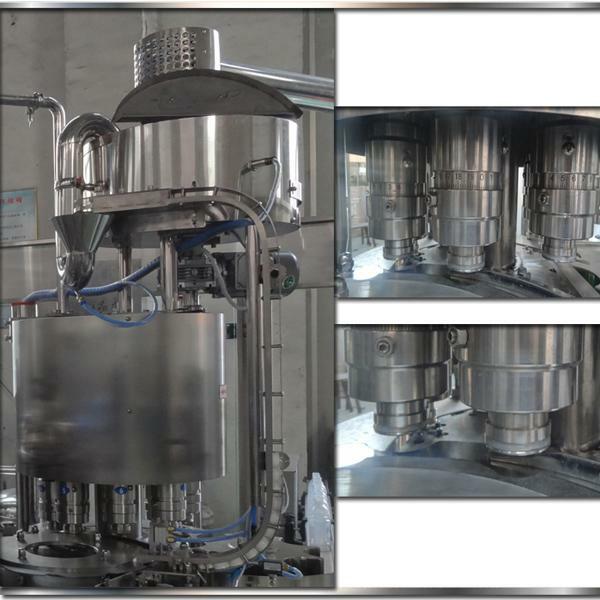 This type of fruit juice filling machine is for the juice production line. e. The capacity is around 6000 bottles per hour. h. Hygienic design for easy resource-saving sanitizing. 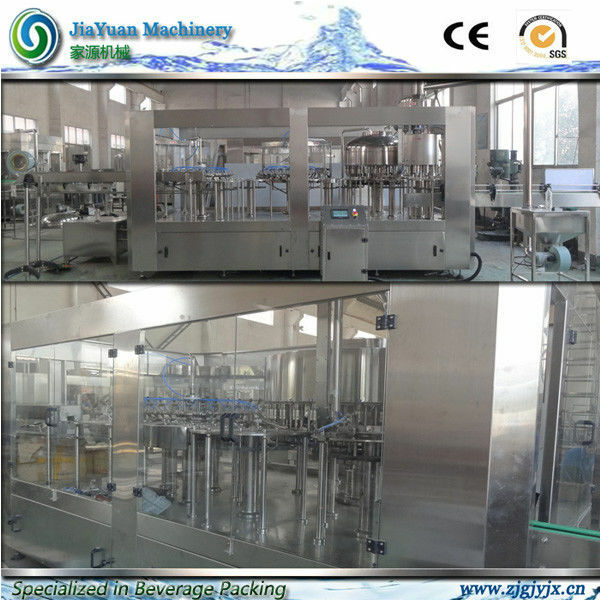 carbonated beverage filling machine soda filling Having been proved by certificates like SGS, CE. Rinsing: The rinser clutches bottles from the starwheel, holding bottles by their necks. gradually turn them upside down while rotating, It will send the bottles to the rinsing area where spraying water come from up above, washing bottles throughly. Hot Filling: In order to avoid any kind of shape change while doing hot filling, The bottles will be grabbed at their necks. Once bottles in the right position, those filling nozzles move down half inside the bottles. The outlet channel of the filling valve opens up, and the hot liquid(tempereture ranges from 85 to 95 degrees celsuis) flows down. As the bottles getting filled up, the inlet channel opens up to allow the superfluous amount to flow back. This whole process makes sure bottles get fully filled. 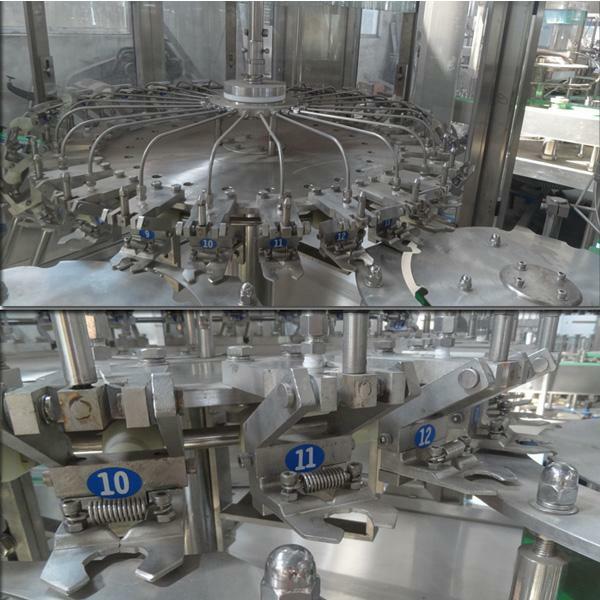 Capping: Bottles will be sent over to the capping station, Cap sorter will put a cap onto each bottle, and then the photoelectric sensor enhanced capper will do the swiveling motion to tighten the cap. We locate in ZhangJiaGang, a small city near ShangHai. We have been focusing on the improvement of machinery theory and performance in beverage machinery. we have several certificates such as CE,SGS,etc. we have a batch of decent manufacturing facilities, professional staff, diligent and farsighted leadship. Our machines are widely sold domestically and abroad. We've been majoring in complete beverage production line, including pure/mineral water production line, non-carbonated drinks production line, carbonated drinks production line. a. Contact us for more detailed info, We are happy to answer your questions.